William M. Sullivan is Senior Scholar at the Center for Inquiry in the Liberal Arts at Wabash College. 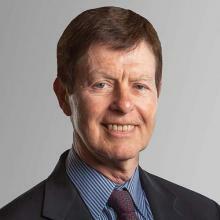 As Founding Director of Educating Tomorrow's Lawyers, Sullivan lends his significant expertise in legal education. As a former Senior Scholar at the Carnegie Foundation for the Advancement of Teaching, he co-directed the Preparation for the Professions Program, a comparative study of professional education encompassing the fields of engineering, the clergy, nursing, and medicine, as well as law. Sullivan has authored and co-authored numerous publications on educating professionals. Sullivan holds a Ph.D. in philosophy from Fordham University. Innovation is in the air, but what is it and what difference does it make?